30 million American adults have chronic kidney disease and millions more are at risk, according to the National Kidney Foundation (NKF). The Foundation says early detection can help stop the progression of kidney disease. But, for many, detection comes too late and the disease leads to kidney failure. The progression of the disease is not only physically draining but also financially damaging. The treatment needed to slow and stop the kidney failure can be expensive. Plus, the side effects of the disease and its treatments can interfere with one’s ability to work. If you have been diagnosed with chronic kidney failure, and it is interfering with your ability to work you could be eligible for Social Security Disability. Diabetes and high blood pressure are the leading causes of kidney disease, but genetics can also play a part. These conditions cause damage to the kidneys over time. If detected and treated early worse damage can be prevented. Unfortunately, the progression of the disease cannot always be stopped and leads to kidney failure. At that point, the only treatment is long-term dialysis or a kidney transplant. Chronic kidney disease is listed in the Social Security Administration’s (SSA) list of severe medically determinable impairments. The impairment list sets forth criteria that SSA workers use for determining a claimant’s eligibility for SSDI benefits. They must incorporate each listing’s criteria into the 5 step process SSA uses to determine a claimant’s eligibility. Determine if the claimant is working at or above the Substantial Gainful Activity (SGA) level as defined by the SSA in the year they file. The SGA income level for 2017 is $1170 a month. They have received or need to receive ongoing hemodialysis or peritoneal dialysis for at least 12 months. They have had a kidney transplant. The SSA will re-evaluate 12 months after the transplant. They have had reduced glomerular filtration levels shown in at least two laboratory tests 90 days apart during a consecutive 12-month period. The reduced levels must have caused either bone degeneration, neuropathy, or fluid overload syndrome that could not be treated by medication. They have anorexia with weight loss determined by body mass index (BMI) of 18.0 or less, calculated on at least two occasions at least 90 days apart during a consecutive 12-month period. They have had complications from the kidney disease which required at least three 48-hour hospitalizations more than 30 days apart within a consecutive 12-month period. Determine if the claimant can do any work they may have done in the past despite difficulties involving their chronic kidney disease. 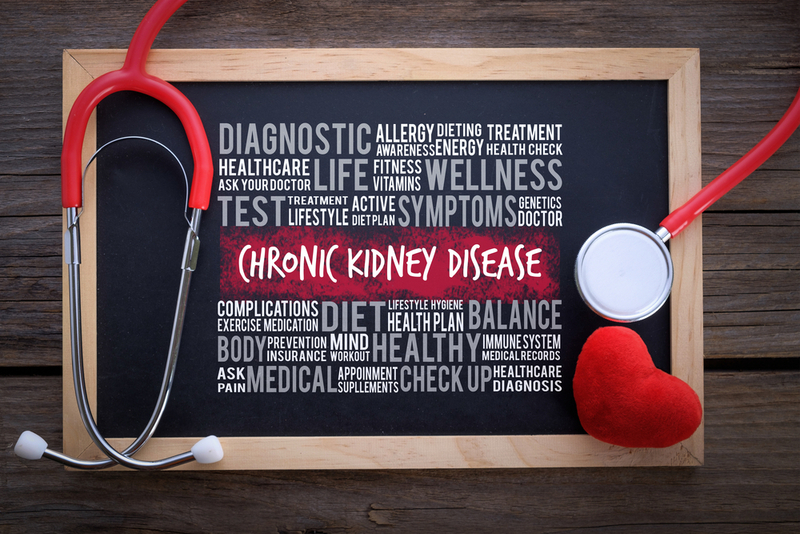 Have you been diagnosed with chronic kidney disease? Does it affect your ability to work? You could be eligible to receive Social Security Disability benefits. But, getting approved for benefits can be a complicated process. You will need to have detailed medical records of your problems with chronic kidney disease and evidence of how it affects your daily life. Then you will need to complete all the necessary SSA forms proving the legitimacy of your claim. Please do not try tackling tackle this on your own. Let one of our experienced SSDI lawyers guide you through the process. Contact us for a free evaluation of your situation and let our family help your family.